Martin Scorsese is not looking to remake Goodfellas with The Irishman. The director's long-time editor Thelma Schoonmaker revealed the news, while heaping praise on the movie, which is reportedly set to premiere on Netflix this October with a limited theater release. 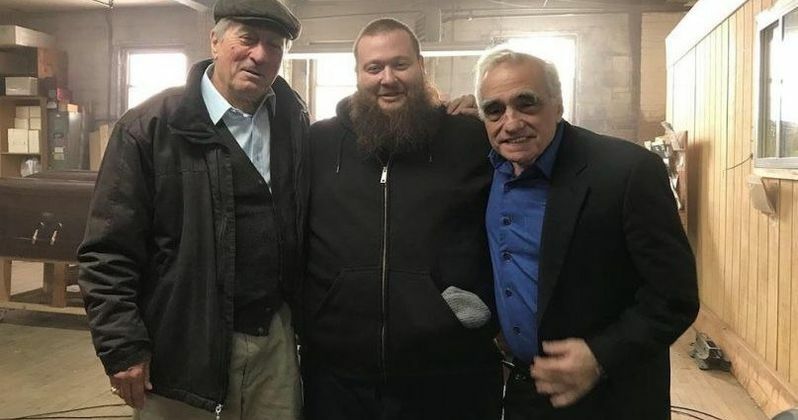 A fall release date will put the project, which reunited Scorsese with Robert De Niro and Joe Pesci, in place for award consideration. And, from the sound of things, it could end up winning some pretty big awards when all is said and done. In a new interview, Thelma Schoonmaker revealed some details about Martin Scorsese's The Irishman. Fans of the director more than likely aren't expecting him to retread old ideas, but the addition of Joe Pesci and Robert De Niro have given the project a Goodfellas vibe. However, that definitely won't be the case when the movie premieres. Schoonmaker explains. "The Irishman is not Goodfellas. And that's what they think it's going to be. It's not. It is not Goodfellas. It's completely different. It's wonderful. They're going to love it. But please don't think it's gonna be Goodfellas, because it isn't." "We're youthifying the actors in the first half of the movie. And then the second half of the movie they play their own age. So that's a big risk. We're having that done by Industrial Light and Magic Island, ILM. That's a big risk." "We're seeing some of it, but I haven't gotten a whole scene where they're young, and what I'm going to have to see, and what Marty's going to have to see is, How is it affecting the rest of the movie when you see them young?" It seems like a bit of a gamble to see how the CGI turns out to have such a big impact on the story, but if anyone can pull it off, it's Martin Scorsese and ILM. Sebastian Maniscalco, who plays legendary crime boss "Crazy" Joe Gallo in The Irishman was the one to reveal the October release for the project, though he did not have a specific date. Maniscalco says that he was so nervous that he couldn't sleep before getting to the set and working with Robert De Niro, Joe Pesci, and Al Pacino, which sounds about right for anyone who gets to work with that group of legends. You can check out the rest of the interview with Thelma Schoonmaker over at Yahoo.